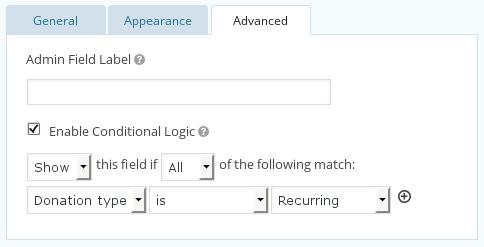 Sometimes, you want to have both standard and recurring payments as options on the same form. This can be accommodated by both the Free and Pro add-ons, with a little care. The Free add-on uses a special Recurring field for recurring payments. By adding that field and making it visible, any charges will be sent to the Recurring Payments gateway for automatic recurring payments. The Pro add-on is a little different. 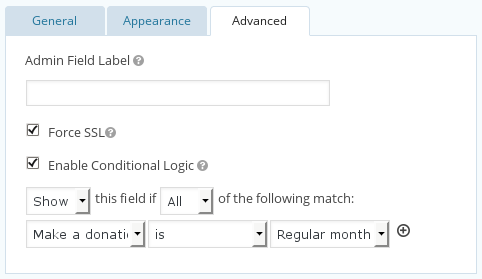 Instead of having a special Recurring field, it lets you put together regular fields to build your recurring payments configuration — ultimately much more flexible than trying to shoehorn it into a special field. 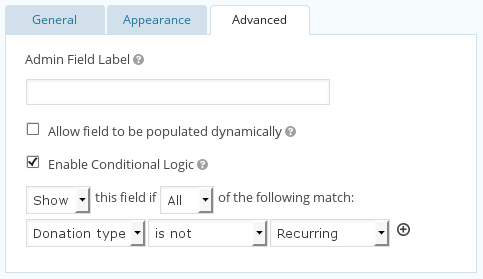 You can have the one Product field and use it for both standard and recurring payments. You can still show/hide fields just like above. Next, you create two feeds to send the transaction details to eWAY: one Direct Connection or Responsive Shared Page feed, and one Recurring Payments feed.